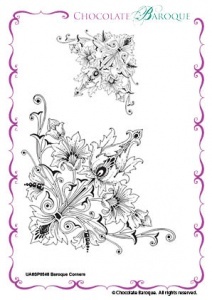 This A6 unmounted stamp sets contains an elaborate and very intricate corner design in 2 different sizes. 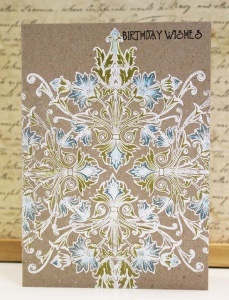 Use alone for a classic and elegant feel or combine to make backgrounds and patterns. Large corner measures approximately 96mm x 123 mm (3.8" x 4.9") and the small corner measures approximately 50mm x 65mm (2" x 2.5").